It often surprises us how beautiful, powerful and soothing natural materials can be. Natural materials, particularly when transformed into furniture and accents for the home, can have an immensely positive effect on your wellbeing. La Maison strives to find the best of the natural world. We’ve selected four amazing pieces for you that will create an edge evoking whimsy and serenity for a more relaxed and natural home. Remember to combine these pieces in a room with indoor friendly plants, natural light and views to trees, water or your beautiful garden. The epitome of easy living the Malawi chair evokes balmy nights and dreams of wine and laughter under an African sunset. A traditional chair made by rural people of Malawi, the design has become famous and loved worldwide for its intricate weave and detail. 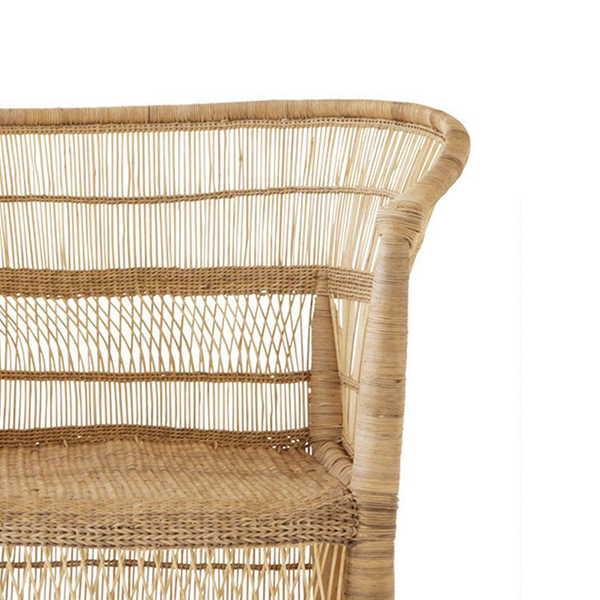 La Maison’s Malawi chair is a replica design, of timber frame and woven natural rattan. 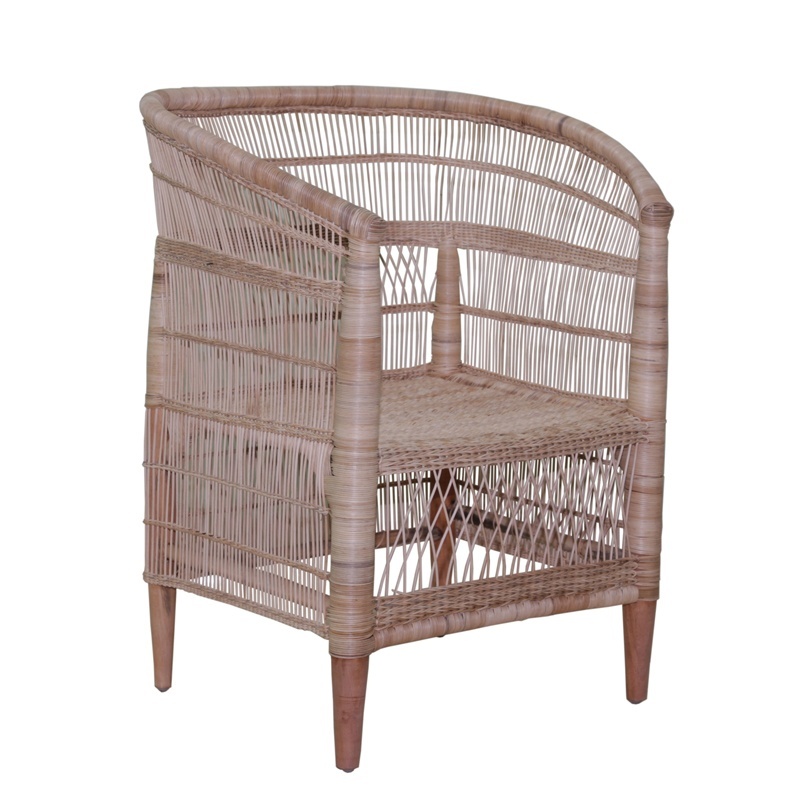 The rattan has natural golden tones with touches of soft pink which make the colour of this chair striking and humbling. A look back to traditional craft, the Malawi is the perfect piece to add texture, shadow and pattern to your interior. It is an acknowledgement of high tribal style and a gentle nod to a simpler life. Indoor-outdoor living has become integral to our daily lives. This, of course, is typically done in the company of family and friends for dinners and entertaining. To create the perfect atmosphere, you should begin by looking at lighting and ambience. Natural candle light is said to promote calm; framing your candles in an elegant and natural lantern will add that extra touch of refinement and relaxation. La Maison’s Florence lantern is your key to amazing summer style. 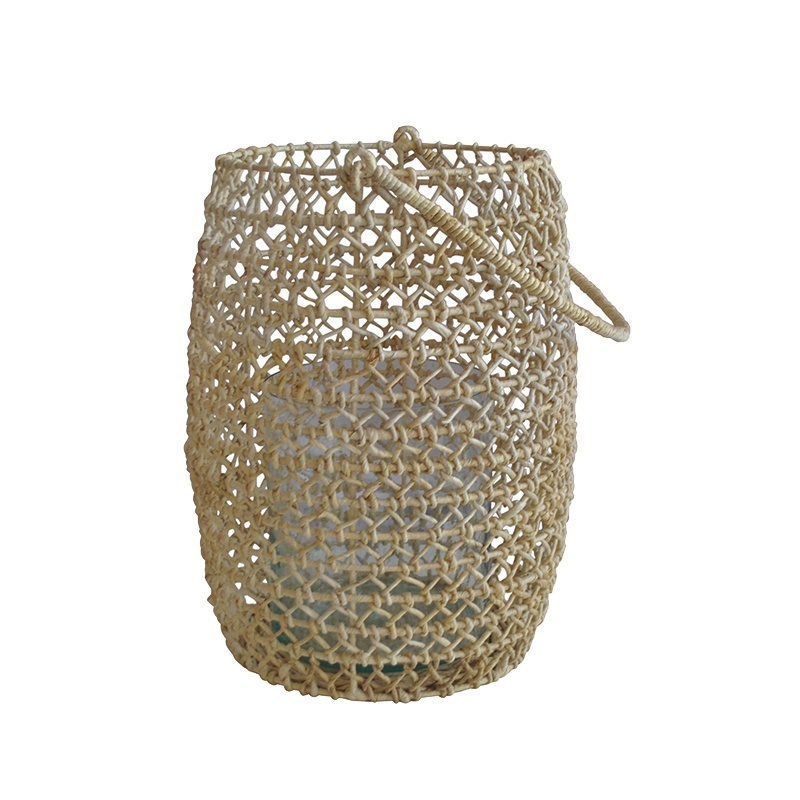 The lanterns are made of natural abaca leaf, a tropical plant dried and woven around a wire frame. The bright golden colour of the woven leaf accentuates and reflects the candle light to give brilliant ambience for your backyard, veranda or balcony. Available in three sizes. It’s a natural beauty millions of years in the making. Petrified wood is a tree or tree like plant trapped in sediment and fossilised over time. The tree’s organic matter is replaced with a mix of minerals. The material is a strikingly beautiful piece of wood-like stone. At La Maison we have managed to get our hands on some of this beautiful material. 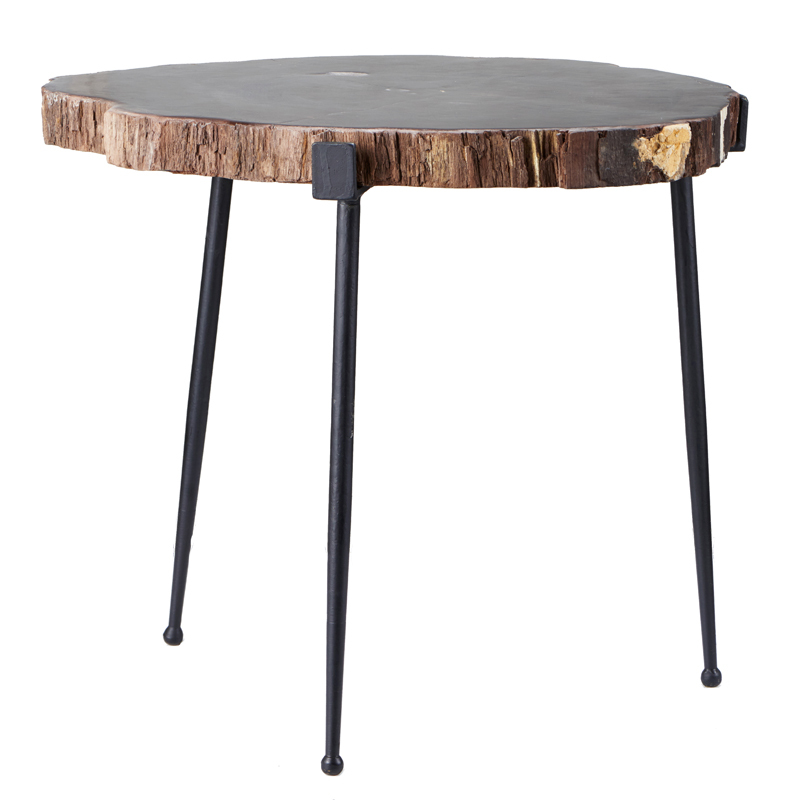 Each Paxton side table is a unique piece of petrified wood, in colour and shape, with bespoke legs specially made for each stone top. A beautiful combination of the ancient and modern, this will bring any room to life. Petrified wood is the new marble. Available in store only at La Maison Sydney. Our final pick speaks for itself. 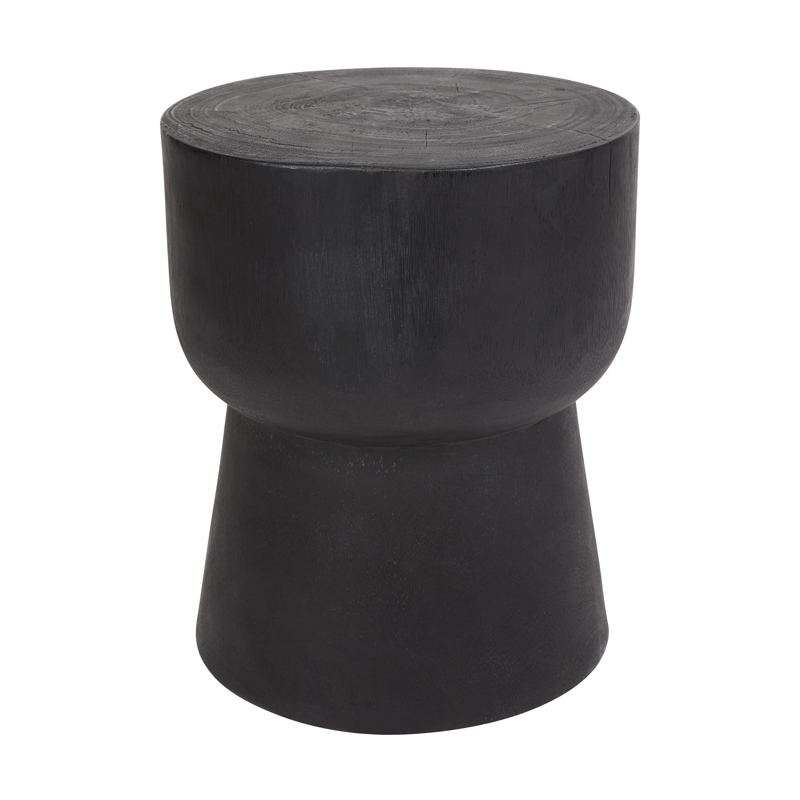 A design comment on what nature can already provide, the Sumba side table is dark and masculine providing as much a lesson as much as it does in style. The simple idea of a section of tree trunk shows the life and growth of something you might otherwise take for granted. The black finish of the table adds to final touch of refinement to create a practical and beautiful piece of furniture.